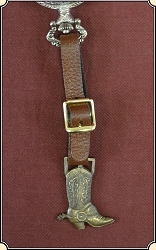 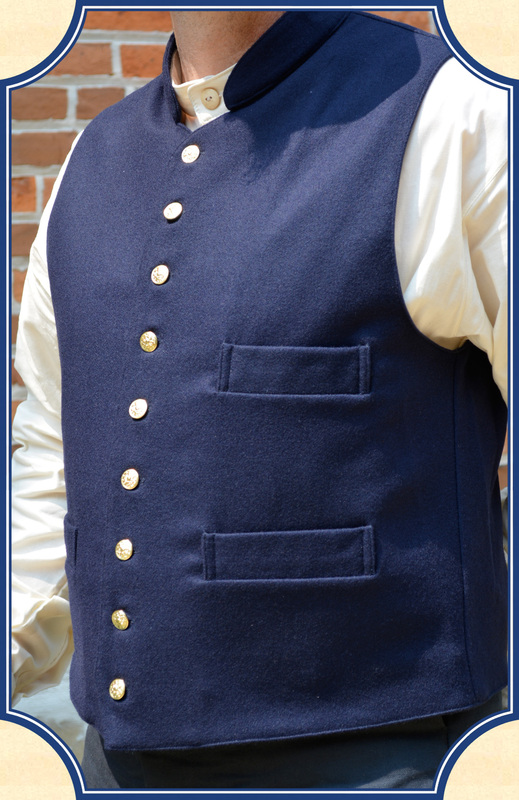 Navy wool with gold eagle buttons. 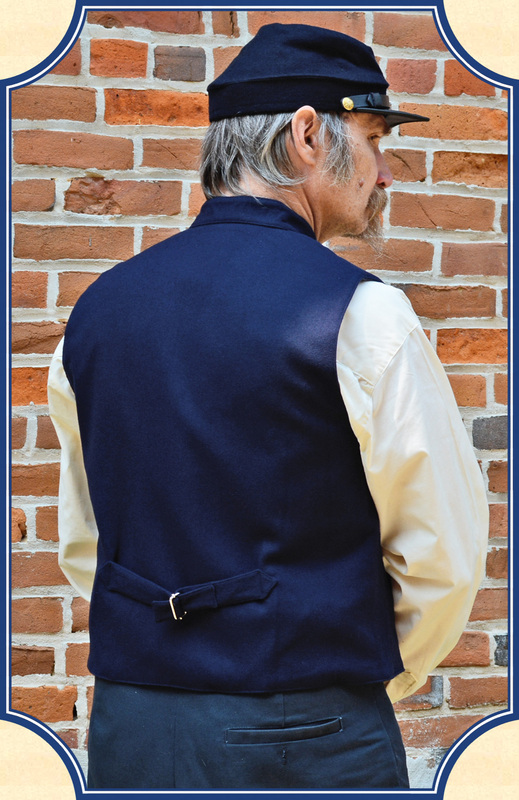 The back is of Navy wool and lined in black cotton. 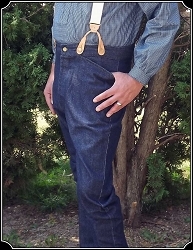 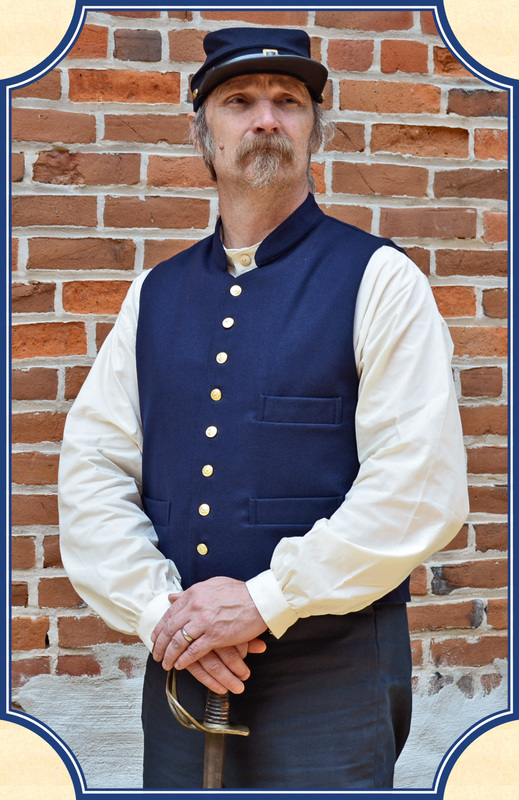 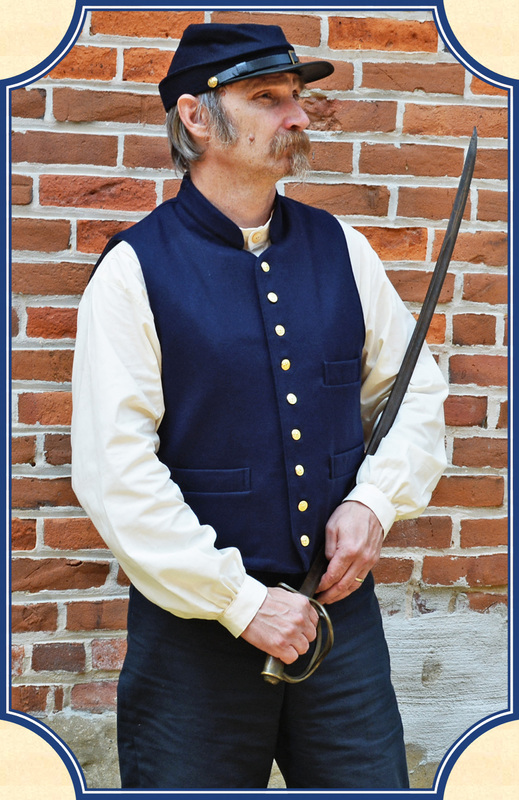 This vest is perfect for the Civil War soldier or veteran or if you want something warm and different for your civilian vests.